I’ve only just stumbled upon “The Backbencher“, a UK-based libertarian-leaning online blog/magazine. How did it take me so long to find it?! I think I’m going to find lots of remarkable, thoughtful and engaging content there – I highly recommend that you have a sift through and find some gems of your own. For starters, here’s a great article on the NHS not being the “envy of the world” as so many of it’s obedient congregation call it. I couldn’t have summarised my views any better if I tried. Hello Backbencher – very pleased to meet you! #realitycheck in light of Boston: There's about 7 billion people in the world. Rounded off, about 7 billion of them are kind, loving people. Let’s hope this awful event committed by a tiny number of sickening individuals isn’t used to remove yet more of our freedoms. Because if that’s what happens, then the people who instigate these atrocities are the only ones who win. Personally, if you’re feeling down and unsure of what to do today, as well as donating to a charity or support group, I think the patriotic thing to do is go here and buy a metallic Bill of Rights. The best thing we can do is carry on as normal. And if you’re American, keep upholding your fourth amendment rights. A fascinating look at nonbelief from Susan Jacoby. [U]nless you’re raised atheist, people become atheists just as I did, by thinking about the same things Augustine thought about. Certainly one of the first things I thought about as a maturing child was “Why is there polio? Why are there diseases?” If there is a good God why are there these things? The answer of the religious person is “God has a plan we don’t understand.” That wasn’t enough for me. There are people who don’t know anything about science. One of the reasons I recommend Richard Dawkins’s book, The God Delusion, is that basically he explains the relationship between science and atheism. But I don’t think people are really persuaded into atheism by books or by debates or anything like that. I think people become atheists because they think about the world around them. They start to search out books because they ask questions. In general, people don’t become atheists at a late age, in their 50s. All of the atheists I know became atheists fairly early on. They became atheists in their adolescence or in their 20s because these are the ages at which you’re maturing, your brain is maturing, and you’re beginning to ask questions. If religion doesn’t do it for you, if, in fact, religion, as it does for me, contradicts any rational idea of how to live, then you become an atheist, or whatever you want to call it – an agnostic, a freethinker. I became an atheist in the same way that I became a libertarian. I was young in both instances, and I didn’t know the word/label for either position, and I didn’t much care. The people I love and have loved most in my life are theists of some sort or another. I don’t, as the late great Christopher Hitchens often did, regard people of another theological opinion as my enemy. One day – quite possibly in my lifetime – I think we’ll get to a time and place where faith (or the lack thereof) becomes a totally private thing, outside the realm of public scrutiny, remaining only the thing of intellectual debate, proselytism, and personal reflection. Then all of us, religious or not, will be much happier. And maybe love each other just that little bit more. 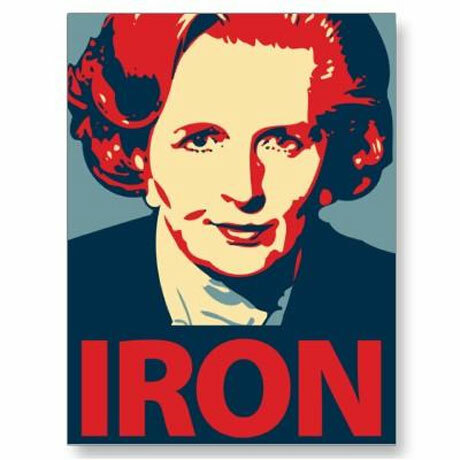 Margaret Thatcher: The Libertarian PM? In light of Margaret Thatcher’s passing, everyone has added their tuppence worth, and I doubt I could add much more. Alex Massie sums it up pretty well for my money, as does Daniel Hannan in both overall summary and here in his take on the specifics. The fact is that the economic freedom Thatcher promoted helped laid down the groundwork for the social freedom that came after it. Ironically, neither her nor her enemies would acknowledge that. The rich got richer under her. But so did the poor. Yes, the gap between the rich and the poor widened, but seriously, so what? Would you rather be better off, or worse off as long as other people are worse off as well? It’s true and unfortunate that the increase in wealth for the poorest was slow, but that’s because she increased overall government spending. If Margaret Thatcher was even more Thatcherite, the government would have been smaller and poorer people would have been even better off. Her personal opinions on many social issues were very wide of the mark for me. But – especially in the economic sphere – there has not been a prime minister in Great Britain in my lifetime whom I have agreed with as much. Those who are bitterly and spitefully cheering her death really do so for one reason. In the political realm and in the real-world, she won and they lost. Not just during her time, but quite possibly for all time. And they’ll never be able to take that away from her.